How do you start hill walking? Photo: BMC. Sometimes, however, it can be a little hard to know where to start – especially as almost everyone in Britain is within a few hours’ of a superb walk. One of the easiest ways to get started is to join a club. There are more than 300 climbing, hill walking and mountaineering clubs affiliated to the BMC and they are a top way to learn the basics, share transport and find friends to walk with. The BMC also publishes advice for beginners and experienced hill walkers wanting to brush up on skills. Two free booklets – New Hill Walkers and Safety on Mountains – and a Hill Walking Essentials DVD are available from our online shop. Courses might also help you fast-track your skills development, especially when it comes to the art of navigation. You can hire a professional through the Association of Mountaineering Instructors or British Mountain Guides, or go on a course at Plas y Brenin, the National Mountain Centre. Once you’re ready to get out there independently, don’t forget the fundamental skills of planning your route, checking the weather forecast, taking appropriate clothing and knowing how to use a map and compass. Also remember to take a headtorch even in summer. Novice walkers (and experienced ones too!) can often get caught out after dark, and a working torch will be essential to help you find your way off the hill. As with any sport, there is an element of risk – you need to take responsibility for your involvement and read the BMC’s participation statement. At some point you might also want to head to altitude for the first time, or try your feet at the outstanding winter walking found in Britain. That’s a whole different world and we suggest you first take a look at our altitude advice sheets and at our Travel at Altitude booklet or try to get along to one of our winter lectures and watch the Winter Essentials DVD. 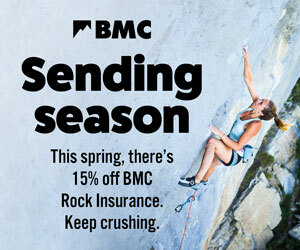 Of course there’s one thing with which the BMC can’t help you – those busy times when you just can’t get to the hills in the first place. Even if not near to any uplands, however, a bit of brisk country walking will still develop your fitness and sure footedness for when a free weekend arrives.